The fast track to self publishing your cookbook in 30 days or less! You have the food photos. But, you're a busy food blogger. You don't have time to research how to self publish a book. You've got enough going on between creating new content with your blog and keeping up on social media...you don't want to spend your Friday nights dating alone with Google and a glass of wine, trying to figure things out. That's where Create Your Own Cookbook comes in. This course is your one-stop blueprint to self publishing your own cookbook. 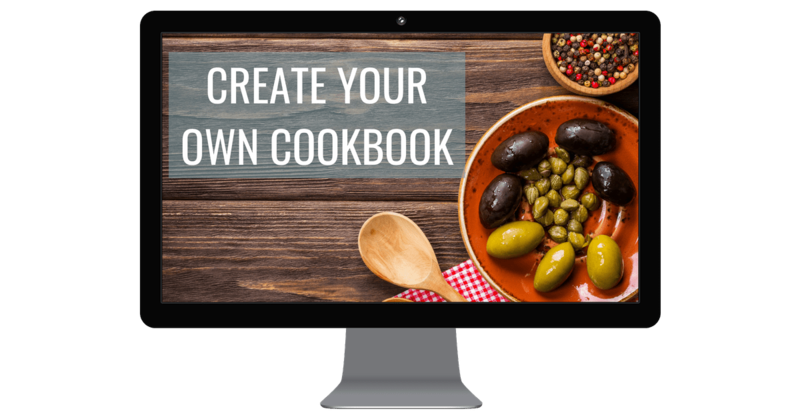 You'll learn how to plan and create your own cookbook using tools that every blogger is familiar with (like Canva, instead of learning how to use complicated programs like Adobe InDesign). No more wasting time on Google. No more aimlessly working on another project without knowing exactly how you're going to get to the finish line. You're going to get the exact details to take you from cookbook idea to printed cookbook you can hold in your hands. That's tons of support and detailed answers for you, the help you need to finish your book fast. The first module will drop in mid-August. After that, new modules will be released every 1-2 weeks. Ready to become a cookbook author? Beth Brombosz is an author, copy writer, and content creator, and is the host of the Blogger to Author Podcast. In 2015 she turned some of her own blog posts into her book Yoga for Runners, and she did it in under a month. Her book has helped her build her status as a go-to expert on yoga for runners and athletes. Beth is now the author of four books in print, in addition to several eBooks. 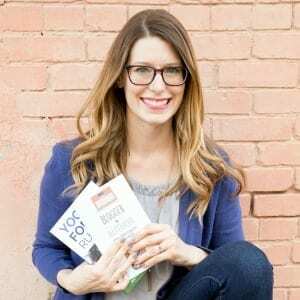 She's passionate about helping fellow bloggers turn their content into a book so they can build authority and credibility in their niche, share their passion with the world, and earn passive income.